How Can I Prevent Winter Health Risks to My Dog? The two most serious risks for dogs during the winter are frostbite and hypothermia. Frostbite. Frostbite begins when the dog’s body gets cold. The body pulls blood from the extremities to the center of the body to stay warm. The dog’s ears, paws or tail can get so cold that ice crystals will form in the tissue and damage it. Frostbite is not immediately obvious. Watch for signs of pale or grey skin as the skin may also turn hard and cold. As frostbitten areas warm, they can be extremely painful. Severely frostbitten skin will eventually turn black and fall off. Hypothermia. The other very serious winter weather health concern for dogs is hypothermia. Hypothermia occurs when a dog spends too much time in the cold, gets wet in cold temperatures or when dogs with poor health or circulation are exposed to cold. In mild cases, the dog will shiver and ears and feet will become cold. As hypothermia progresses, your dog may show signs of depression, lethargy, and weakness. As the condition worsens, the muscles will stiffen, the heart and breathing rates slow down, and will not respond to stimuli. Severe hypothermia is life-threatening. What Are the Ways in Which I Can Help Protect My Dog During the Winter Months? Temperature. Some dog breeds are blessed with thick fur that keeps them warm naturally in very cold temperatures, but dogs with thin coats may need to wear a sweater or coat when out for winter walks. A good coat should reach from the neck to the base of the tail and also protect the belly but coats will not prevent frostbite on the ears, feet or tail. Even wearing a warm coat, do not keep your short-haired dog out for too long in freezing temperatures. Go outside when the sun shines. Try to walk your dog in the late morning or early afternoon hours when temperatures are a little warmer, and avoid early morning or late evening walks. Spend time playing outdoors while it is sunny; sunshine brings the added benefit of providing both you and your pet with vitamin D. Play fetch with toys, not sticks, as sticks can cause choking and other injuries. If your dog wants to chew and chase, bring a Frisbee, ball or other safe toy and play together in the sun. Indoor pets are happiest. Our family dog needs to be indoors with us. Take your dog out frequently for walks and exercise but your dog should live inside the home. Do not leave pets outdoors alone when the temperature drops. A good rule of thumb is to go out with them and when you are ready to come in, your dog probably is, too. Warm bedding. Do not let your best friend sleep on a cold floor in winter. Choosing the right bedding is essential to ensure your dog stays warm. Warm blankets can create a snug environment. Elevated beds will keep your dog off cold tiles or concrete, and heated pet beds can help keep the stiffness out of aging joints. Place your dog’s bed in a warm spot away from drafts, cold tile or uncarpeted floors, preferably in a favorite spot where he sleeps every day so that the area does not feel unfamiliar. Keep your dog away from heat sources. 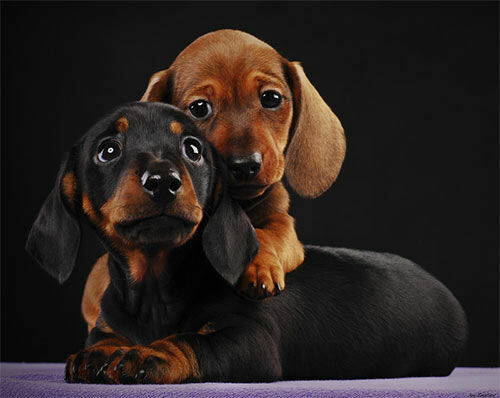 Dogs will often seek heat during cold winter weather by snuggling too close to heating sources. Avoid space heaters and be mindful of fireplaces. Never leave pets alone near a fireplace or wood stove. Even if your fireplace has a mesh covering or glass doors, pets can still get burns from coming into contact with those hot surfaces. Moisturize.Your home’s furnace or central air system emits dry heat. This low humidity environment can rob your dog’s skin of necessary moisture, which results in dry, flaky, and sensitive skin. While it is true that your dog’s body continually replaces the layer of damaged skin, however, if left unmanaged, the condition will continue throughout the winter. Damaged skin and your dog’s relentless scratching to relieve her itch can open the door for more serious skin problems. Do not overfeed. Although dogs may need an extra layer in winter, it should come from the coat and not a layer of fat. Cold temperatures may even bring on lazy behavior and the need for fewer calories. Be attentive to your dog’s activity level and adjust his calories accordingly. A high quality, whole foods, preferably meat-based diet will help ensure a healthy coat and good energy for the cold winter months. Paw care. Dogs can also suffer from cracked pads just as we can suffer from cracked feet during the winter months. If your dog has furry feet, trim the hair that grows between his pads to prevent ice buildup between the pads. Winter salt on city sidewalks can also burn your dog’s pads and is toxic, so after walks around the neighborhood, rinse or wipe your dog’s paws to remove any salt. If your dog shows signs of discomfort when walking outside on frozen or salted surfaces, consider using dog booties to protect his paws. Snow removal. Snow can be dangerous for your dog. Snow piled near fences offers your dog escape routes that even well-trained dogs often cannot resist. After clearing snow from your yard, pile it away from fences to prevent your dog from climbing over. Snow and ice often accumulate on rooftops and if the sun is out or as temperatures rise, this accumulation can slide and injure your dog. If you cannot clear the snow from the roof, keep your dog away from the roof overhang to prevent injury. Never leave your dog unattended in the car, no matter the season. Just as cars can get dangerously hot in summer, freezing cold temperatures are equally dangerous for your dog in winter. Leaving the car running involves additional risks, including carbon monoxide poisoning if the car is parked in a garage. It is best to leave your dog at home when you go out to run errands. Special care for seniors. Cold weather will often aggravate existing medical conditions in dogs, particularly arthritis. It is very important to maintain an exercise routine with your arthritic dog, but be mindful of slippery surfaces and make sure that your dog has a warm soft rest area to recuperate after activity. If you do not already give your senior dog a natural joint supplement to lubricate the joints and ease the discomfort of arthritis, you may want to talk to your vet about adding glucosamine and chondroitin to your dog’s senior diet. Harsh winter weather brings a wide variety of concerns to responsible dog owners. Bitter cold, numbing wetness or biting winds can cause discomfort for your dog. As one of the family, it is important to keep your dog warm, dry and healthy during the winter months. Should you have questions about providing extra care for your dog this winter, contact the Alliance of Therapy Dogs. Adopt Me! Dog Rescue is a non-profit 501c3 organization dedicated to rescuing stray, abandoned and surrendered dogs of all breeds, vetting them, training them and then finding them suitable forever homes. We are a small group and intend on staying that way, our goal is to use our resources on training and vetting the dogs, so when adopting a dog from Adopt Me! you will know that the training has been started vetting is thorough and they will adjust easier to a new home. Adopt Me! Dog Rescue is a foster based rescue so we can only take in animals as room is available. We are a no kill rescue, we work on training issues and do everything possible to find quality homes for the dogs, we will not, however, place a dangerous dog back out into the public. None of our adoptable dogs are kept in kennels; they are all fostered in our homes and live with our own personal pets and families. All pets are vetted, altered, they are house trained or have started their training, they are socialized, started on obedience training and have begun the spoiling aspect of family life!! Many of our animals come from local impound facilities where they would have been euthanized if we had not rescued them. This is their chance at a new home; they are great dogs whose only flaw was their color, size, location or lack of training. Adopt Me! 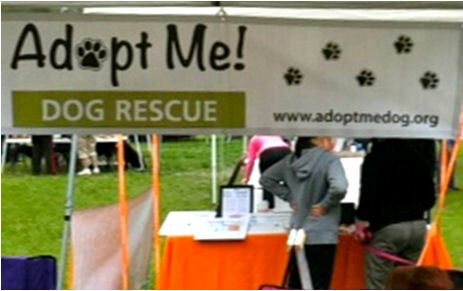 Dog Rescue does its best to assure all animals are healthy prior to going to their new homes. However, there is no guarantee when adopting an animal, there are things that veterinarians miss. We recommend re-worming along with an exam by your regular vet within 5 days of the adoption. Medical needs may come up at the new owner’s expense; it is part of being a pet parent. Many of these dogs came from very poor situations; their lives depend on us and their new owners. Adopt Me! Dog Rescue spays or neuters all dogs before adoption; they are also vaccinated for Parvo/Distemper, wormed, heartworm tested and microchipped. Donations can be made using the PayPal button or mailing to Adopt Me! Dog Rescue PO Box 1750 Minnetonka MN 55345. THIS IS ONLY A MAILING ADDRESS! Thank you very much!!! To adopt a dog, fill out an application and email it to us at skbergeson@gmail.com Then we will contact you back and set up a time for you to come and meet the friend you are interested in. (We do ask for references and you must have landlord approval). If we feel it is a good match we will then schedule a home visit and then complete the adoption. WE DO HAVE THE RIGHT TO REFUSE ANY ADOPTION, as we live with these animals and know their needs better than anyone else at this time. Adoption fees vary per animal, we do not negotiate fees, they barely cover the vetting costs. Our goal is a forever home for each animal in our program. ADOPT ME! Dog Rescue does take in owner surrender dogs. Please remember we are a small group and do not always have foster space available. For information on surrendering a dog please call 612-419-2075. We will not take in dogs that have shown any aggression towards humans or other dogs. 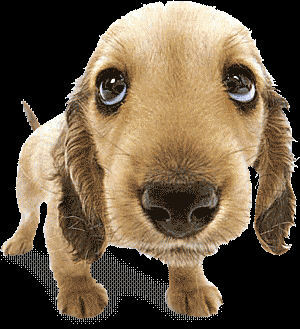 Since the dogs live in a foster home we can not risk injury to our foster parents or the other dogs in the foster home. Unfortunately, we do not take cats or kittens. We recommend advertising your cats and try to find homes for them on your own. We are strictly a dog rescue. We pay for all expenses and provide food. that will be put to good use in caring for our dogs! 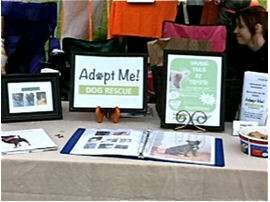 stop and chat with us about rescue and adoptions. “Adopt Me! Dog Rescue” is looking for those “SPECIAL SOMEONES” who are willing to provide a temporary FOSTER HOME for homeless furry kids. We have several dogs that are need of a foster home now and we would like to save more dogs, but need foster homes to put them into. If you can help please email or call! What a GREAT day for Adopt Me! Dog Rescue!!! A local company in Burnsville MN, ChartHouse Learning Corp (the home of the FISH! Philosophy) donated $502.00 to us. 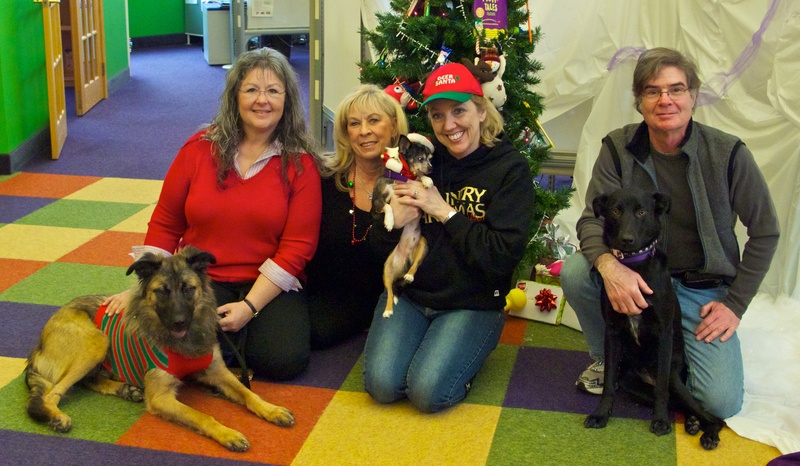 Every year the company chooses a non-profit place to donate to and this year they chose Adopt Me! Dog Rescue. 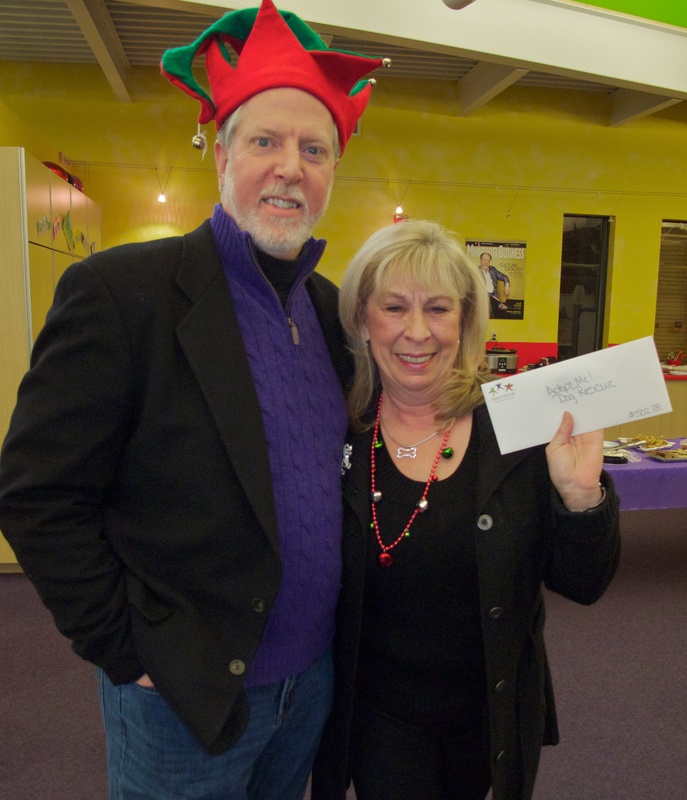 The 16 employees had a silent auction where everyone brought in items from their homes to donate and others placed bids on items of their interest. They then gave 100% of the money raised to us for our dog rescue needs. If you’re looking for a good cause regarding donations, please remember us. Maybe you could top the donation we received today!! 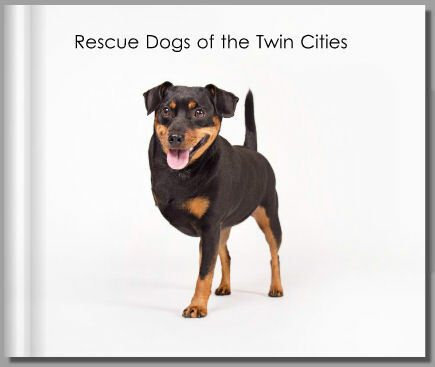 This 68-page photo book showcases beloved dogs who were rescued & adopted by dog lovers in the Twin Cities metro area. The proceeds of this book (after costs) benefited the hard working rescues in & around the Twin Cities. “Rescue dogs aren’t broken, they’ve simply experienced more life than other animals. If they were human, we’d call them wise. They would be the one’s with tales to tell and stories to write, the ones dealt a bad hand who responded with courage. Don’t pity them. Do something! Help to rescue. Donate. Volunteer. Foster. Adopt. Posted by Administrator on October 12, 2011 in Home. Well, my full fancy name is “Bella Blue” I am a “special needs” baby, are you SPECIAL too? I am a quiet, sweet and loving Pomeranian who is happy, snuggly and very young for my 10 years. I have big brown bright eyes! I am spayed and up to date on all my vetting. Everyone says I am a cutie patootie and look like a little fox! My foster mom says I am so calm and easy. I guess she likes that I sleep through the night quietly curled up on the bed, and that I am completely potty trained. I just sleep away the day while my mom and dad work. I will probably do best as an only dog as barking gets me too excited, but I’m fine with cats! I’ll need a home with older kids, as the littles are a bit too much! I like to be outside on my leash and check out all the smells on my walks! Although the chair helps, you do need to know that I will have bouts of spitting up and regurgitating. It is usually when I tend to get excited but can happen at other times too. Sometimes I can go days without any problem and sometimes it will happen every day. I feel so bad afterwards, and so will need someone who won’t get upset and can love me anyway. My foster family makes me special food and that really helps a lot. I am otherwise very healthy and am such a love that you won’t mind at all that I’m not perfect. My adoption fee is $350.